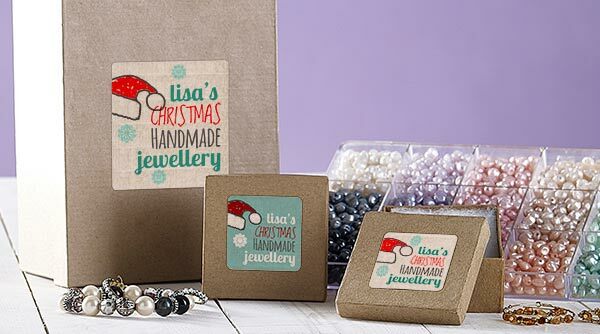 Christmas is fast approaching, and we know this is a really busy time for a handmade business as consumers look for something a little different for a special someone. Whether you sell festive food or create handmade gifts you may want to create new labels specifically for the Christmas season. This helps you stand out in a busy gift-market and highlights how much care and thought you put into your products and the service you provide. People remember little details, so simply building something seasonal into your label design makes people immediately think of Christmas when they see them. This could be subtly adding in icons which we associate with Christmas to the design or changing the name of the product slightly e.g. Grandma’s Festive Gifts. When you order WePrint labels we do offer low minimum order quantities, so you don’t need to worry about having leftover labels. Simply order what you need for the next few weeks. Our recent study into the importance of label design highlighted how you can increase sales, product perception, brand love and loyalty by carefully considering your label design. Remember to think about the font, adding emotive images and text, using bold colours, shapes and borders and using product signifiers where possible. You should also include information about the product itself, as well as any awards or testimonials you have received. But before you even think about the design, you need to make sure you choose the right label for your products as this will help convey the quality. 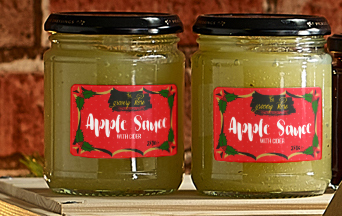 We know that food is a popular gift at Christmas and we have labels that are ideal for sticking on bottles and jars. 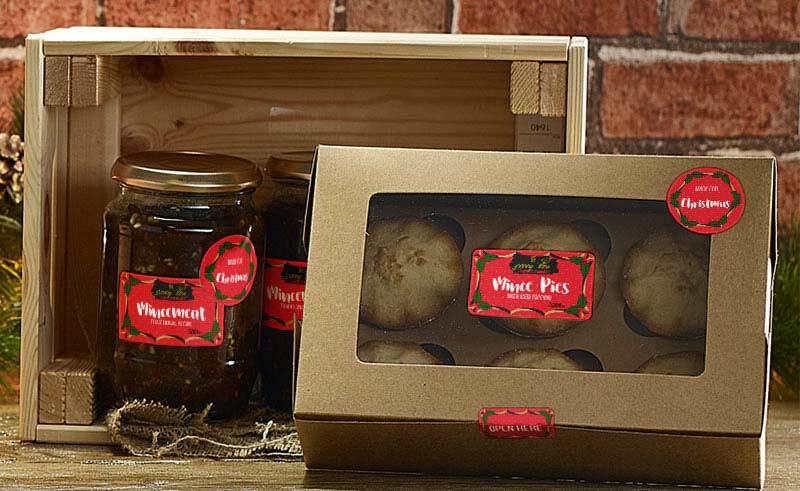 Start by confirming the dimensions of your packaging and then choose which size and shape labels to go for. You can choose from plaque, oval and straight oval shaped labels, as well as the popular rectangular, round and square shapes. For your food or drinks, you also need to consider the label material as you want to be able to showcase the quality of your products. Our White Polyethylene Labels work well on food and drink which need to be stored in extreme temperatures as they are waterproof. Whereas the Clear Polypropylene Labels look amazing on bottles and jars as they make sure the contents stand out. One of our most popular labels for handmade products is our antique material which provides a rustic look. They are off-white textured labels made with a premium paper so they will show off the quality of your products. This product will help your packaging stand out as the colours look really vibrant. We know that you may need last minute labels and cards for festive events and fayres or special orders, so you will be pleased to know that WePrint labels can be delivered within two working days. Start by choosing the shape, material and quantity and then head into the design software. If you have an existing design, you can simply upload it and then add a hint of Christmas by amending the text or adding a festive image or icon. Click here to discover our range of Avery WePrint labels.